When you visit our flooring store to begin your next interior makeover project, you’ll be able to choose from a wide variety of stylish, durable, and cost-effective tile flooring for your home. Tile is a timeless classic that is always in style, so your floor will never be outdated when you select an option from our expansive inventory. Our broad range of stylish and functional tile floors provides the perfect backdrop for any kind of decorating style, regardless of your personal preference. Whether you’re looking to create a simple, classic design or you prefer a sleek, modern aesthetic, you can depend on our store as your source for affordably priced tile options that enhance the overall beauty of your living space without breaking the bank. Since 1980, the staff of our family-owned-and-operated showroom has proudly served local customers by providing the flooring solutions they need. We strive to maintain that legacy with everyone we serve, no matter how large or small the project may be. Whether you’re renovating a single room or updating your entire living space, the tile collections in our showroom enable you to establish any type of design scheme you can imagine. With access to multiple collections of tile from the top manufacturers in the industry in numerous styles, colors, and textures, the possibilities are as endless as your imagination. When you visit us to talk to our sales and design professionals about your vision for your home, we proudly offer you a free consultation to get things started. Our comprehensive solutions for your flooring needs are designed to make your design dreams come true in the timeliest and most affordable manner possible. We gladly provide you with guidance and in-store assistance with selecting your tile and finish the job with a professional tile flooring installation in your home. When we send our skilled and experienced technicians to your home for service, you can rest assured that your tile floor installation will be finished promptly and efficiently. Our installation crews are well-versed in laying tile floors in any type of residence, no matter the size or arrangement of your living space. Ensuring that your installation is properly completed requires a high level of skill and precision for making exact measurements that enable your tiles to adhere securely. Our technicians work their hardest to finish installing your floors without wasting time as a result of mistaken measurements. By making sure that the edges of your tiles are cut to fit your space, we significantly reduce the amount of time necessary to finish the installation. Every tile flooring installation that our professionals provide starts by stripping off the old flooring and properly disposing of it. After making sure that the subfloor is clean, dry, and level, we begin troweling on the mortar. We then carefully place your tiles, leaving a bit of space between each to allow room for the grout. Grout is an attractive addition that keeps your tiles from touching, which prevents the potential for chips and cracks. With our professional installation, your tile flooring will have what it takes to last for many happy years. Our local flooring store stocks a varied selection of options and our team of design experts is here to help you find the perfect tile floor that meets all of your requirements. During our consultation with you, we take into account all of the unique factors involved with your project, including your design preferences, lifestyle requirements, and budgetary range. This enables us to determine the most suitable style for your renovation and ensures that you’ll purchase the floors that work best for you. Once you have narrowed down your options and made your final choice, we work with to find a day and time for professional installation that works best for your schedule. That way, you can be completely confident that your time spent with us will be as convenient as possible, so you’ll never have to adjust your routine to finish your project. We understand how valuable your time is, so we strive to finish each job as quickly as possible while still maintaining the highest standard of performance and a careful attention to detail. Our tile options come in a variety of different types, shapes, sizes, and colors, from contemporary and coastal to mid-century modern, our showroom has tile that complements every style of décor. 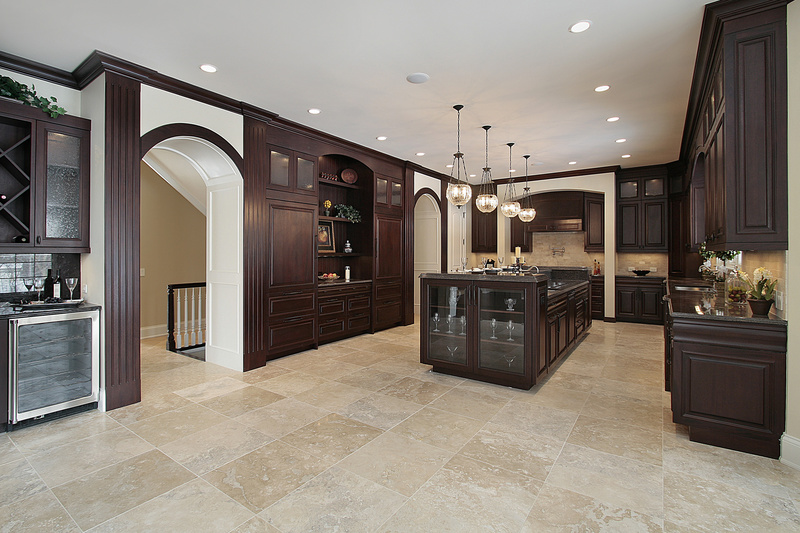 The main types of tile we offer include ceramic, porcelain, and slate. Ceramic tile is known for its refined appeal. This floor covering imparts the feel of elegance to everything in the room. Ceramic is sturdy and appealing, and is available in a wide range of attractive colors at a guaranteed low price. For a clean, modern look, you can’t go wrong with porcelain floor tiles for your home. This modern appeal works well for any decorating style and doesn’t interfere with bright colors or interesting patterns. Porcelain is dense and strong, so it wears well even under heavy foot traffic. Slate is a natural stone that offers a rustic appeal for a new level of charm in any room where it is installed. This heavy and dense tile flooring is available in shades of blue, gray, green, and gold, giving you the choice to bring increased appeal and value to your home. Contact us to learn more about our selection of stylish and affordable tile flooring. We serve clients in Marrero, Westwego, Avondale, Harvey, and the New Orleans Metro area of Louisiana.